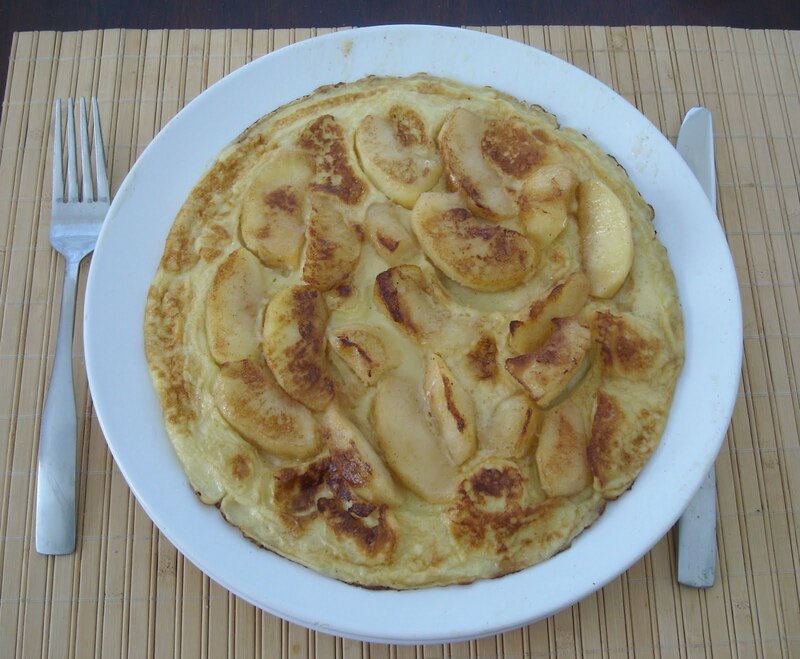 Apple filled Pancakes – Apfelpfannekuchen | German Food, the way you love it! – When the pancake is done loosen the sides and bottom with a metal spatula and slide it onto a warm serving plate – keep it warm until all pancakes are down. If you are an experienced cook you can make the pancakes entirely on thr stove BUT you need to turn them without dislodging the apple filling. To avoid that the butter gets brown, add a splash of olive oil to the melting butter. Serve the apple pancakes with vanilla sauce or whipped cream. If you want to turn the pancake use a fitting lid and by holding it tightly onto the pan, turn the pan so that the pancake will be on the lid; put pan back, melt some butter and let the unbaked side of the pancake slide back into the skillet. Hope this works. This entry was posted in german food and tagged authentic german recipe, german desert, german food, german pancakes, pancakes, pfannekuchen. Bookmark the permalink.